Wow these are gorgeous!! What a great idea. These really are adorable! I feel like Easter decorations can be very cliche, but I'm determined to do something fun and crafty this year! These are absolutely gorgeous and adorable!! I really want to do this! Oh.My.Goodness. Amy that is so pretty. I love the gold egg. 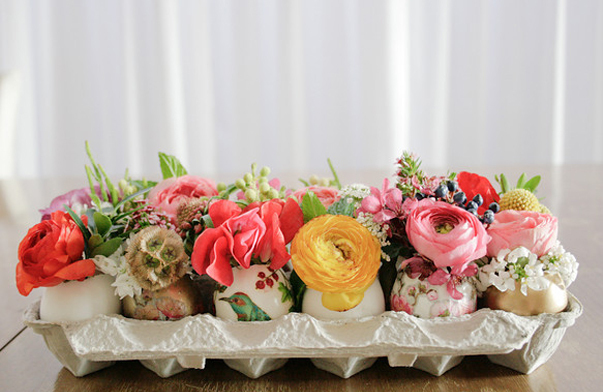 I just found out yesterday that we are hosting our family for Easter so thanks for sharing these pretty eggs....I am so inspired to do something like this for my tables! !